Tooth extraction may need to be done for a variety of reasons, including tooth damage and teeth crowding. 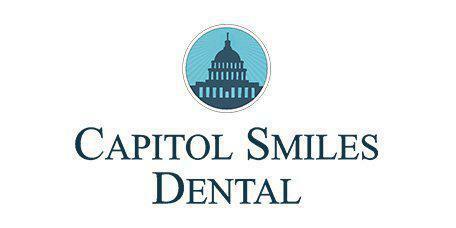 At Capitol Smiles Dental in Trenton and Ewing New Jersey, tooth extractions are handled in a way that makes the entire process comfortable for the patient. There are a number of reasons tooth extraction may be recommended. In some cases, teeth must be removed to make enough space for other teeth to grow normally. For example, wisdom teeth often need to be extracted because they cause crowding for the other teeth in the mouth. In some cases, a tooth is diseased or damaged beyond repair, so extraction is the best option. Tooth extraction starts with mouth numbing. Patients who have severe dental anxiety or phobias may also be sedated to help them relax during the extraction. Extractions can range from quick and easy to complex. If a tooth is impacted, the dentist may have to separate it into segments for efficient extraction. Once the tooth is fully extracted, the empty socket is filled with sterile gauze. Small stitches may be used to close up wounds after complex tooth extraction procedures. Tooth extraction is a surgical procedure, and as with all surgical procedures, some level of pain should be expected. Numbing medication works quite effectively during extraction procedures, though. Afterwards, patients usually have some pain as they recover. A prescription medication may be provided to alleviate this pain. The dentist may also provide an energy drip to help patients recover more quickly. What type of after effects should patients expect? Patients may experience some after effects like temporarily decreased libido or a “hangover” from anesthesia and sedation. To quickly detox from the anesthesia and sedation, patients should closely follow all discharge instructions. Staying well hydrated is important. Patients may need to avoid solid food for a day or two as recommended by the dentist. A salt water rinse every couple of hours can help keep the extraction site properly hydrated. Some bleeding should be expected, and patients should keep fresh sterile gauze on hand for this reason. Patients should continue to brush their teeth as usual, but avoid the extraction site. Most patients are able to return to their usual routine fairly quickly, but this varies based on the complexity of the extraction.